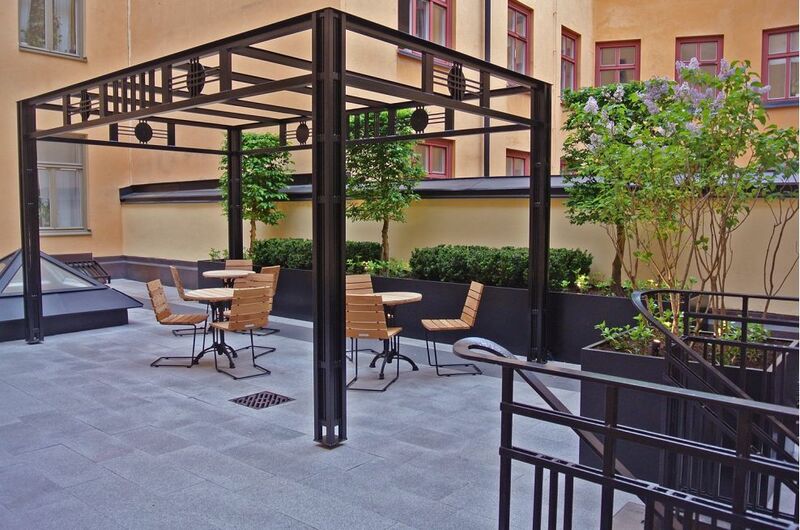 Bespoke powder coated steel planters were commissioned for a corporate courtyard garden in the exclusive Östermalm district of central Stockholm, Sweden. The planters included a large rectangular trough planter L 7500 x W 900 x H 700mm, supplied in 5nr. sections each of L 1500mm for assembly on-site; plus a smaller tree planter L 1000 x W 1000 x H 700mm. 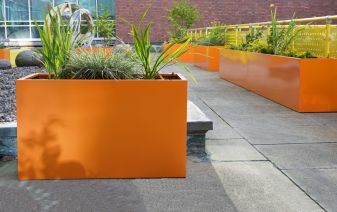 The planters were manufactured from 1.5mm thick Zintec steel, powder coated to RAL 9005 [Jet black]. IOTA was also responsible for export and transportation, including timed delivery to-the-door in Stockholm. 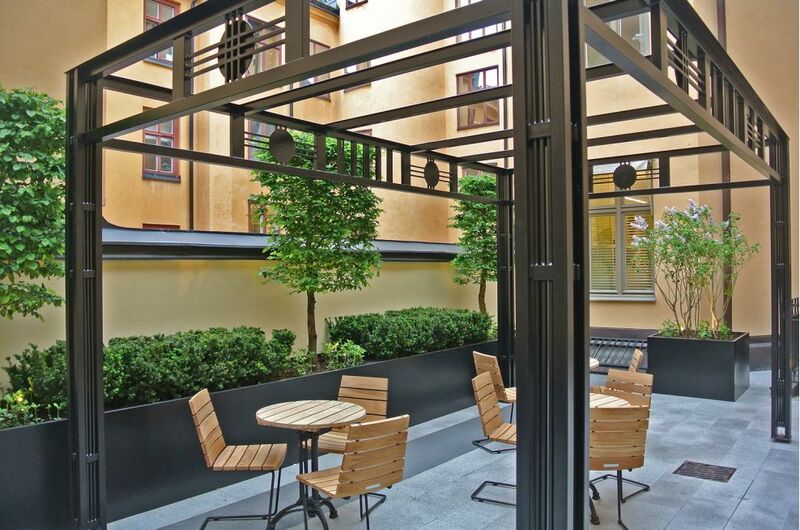 The courtyard garden was designed by Annika Zetterman of Zetterman Garden Design, with a brief to create a multi-purpose open-air space for functions, corporate events and staff breaks. 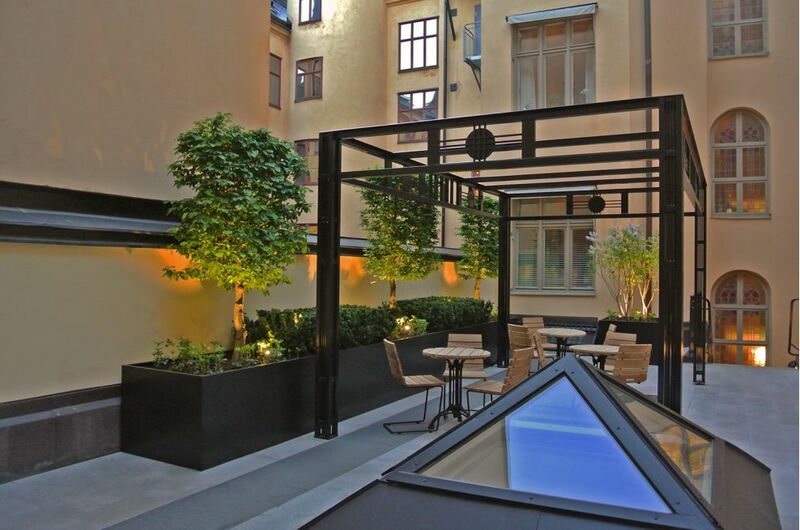 The garden fully respects and accentuates the style and historical significance of the building; and the space is formal yet elegant, and the design utilises traditional materials such as paving of Swedish granite, a pergola of wrought iron, and furniture of oak. 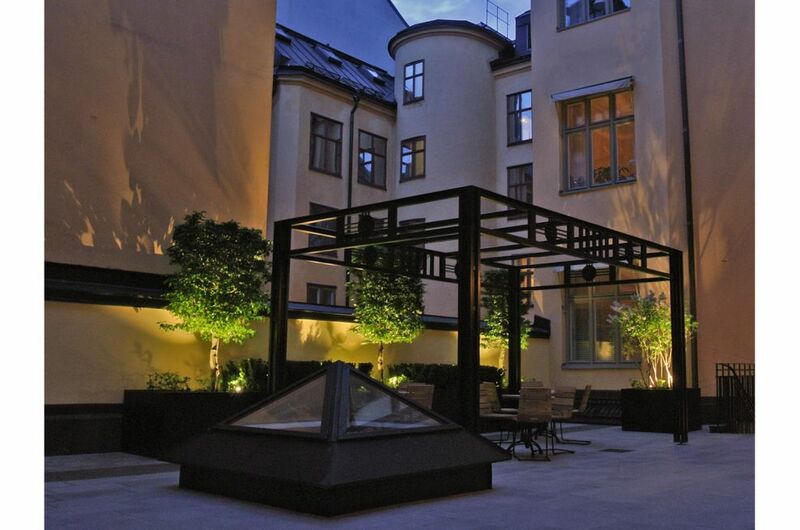 The lighting design gives the garden a totally different complexion at night, with the emphasis on the planting creating a green perimeter around a relaxed and intimate central space. Zetterman Garden Design provides a range of garden design and landscape design services, to both residential and commercial clients. 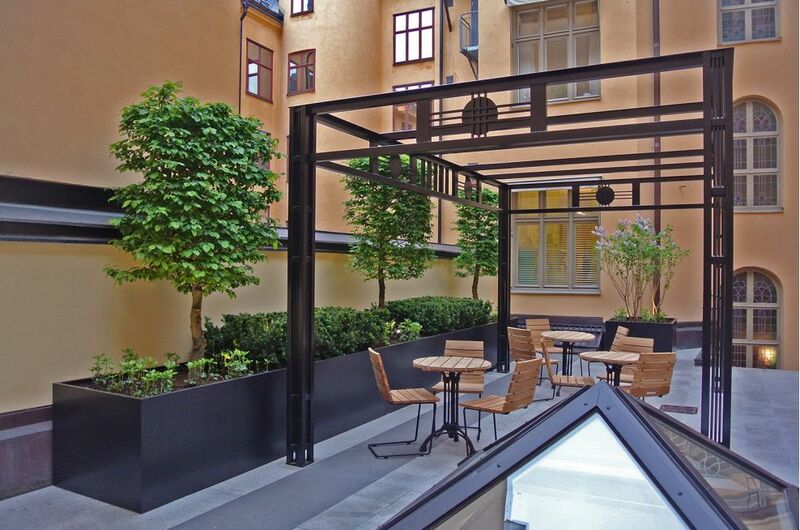 The practice operates internationally, with the majority of clients being in Scandinavia and Europe, including recent projects in London and Geneva, Switzerland.